We propose an augmented aquarium that dynamically alters the color of translucent aquatic animals without injury. 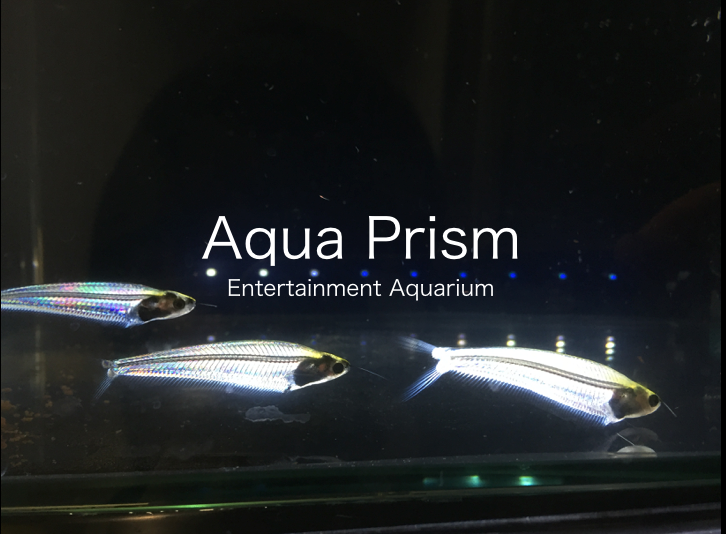 This technology produces colored aquatic animals that glow in the dark in a standard fish tank at home. For regulating the color, a monitor displaying colors is installed behind the fish tank. The fish tank becomes dark owing to light-shielding caused by the combination of polarizing sheets coated on the front and back sides of the fish tank. The bodies of translucent aquatic animals in the fish tank alter the polarized light to unpolarized light. Therefore, the background pattern on the monitor can be viewed through the bodies. Accordingly, the aquatic animals are colored by the pattern. This technology does not require injurious procedures as required by previous painting methods, such as injections of dyes and tattoos by lasers. In this study, we describe the representation capability of color and the variation depending on the types of aquatic animals. We also investigated the safety of this technology and the potential interaction by monitoring the behaviors of aquatic animals.